While the story is newsworthy, a technical analysis cans see where Twitter may be consistent in its policy, although there certainly is room for improvement. While millions of people use the platform to voice their opinions – no matter what they may be – the fact is the more “celebrity” one has, pun intended, the more traction will occur. Take actress Alyssa Milano for example. The “Who’s the Boss?” star jumped into the Weinstein fray by initiating a “me too” campaign, tweeting, “If you’ve been sexually harassed or assaulted write ‘me too’ as a reply to this tweet.” The tweet went viral and sparked tens of thousands of engagements. Only time will tell if Weinstein will ever recover, although Hollywood loves a good comeback story. An LAPD investigation and reports of The Weinstein Co. being in a financial meltdown make matters worse, coupled with the fact that the Academy of Motion Picture Arts and Sciences and the Producers Guild of America have stripped Harvey Weinstein of his memberships. Be that as it may, a long road lies ahead and surely, Weinstein needs good PR, which won’t come easy. Twitter is in sort of a crisis too. Stories like the Weinstein affair keep the social network relevant and included in mainstream media coverage, although it’s hard to determine if this is having a positive impact since the company’s stock dropped more than 50 percent since its 2013 initial public offering. 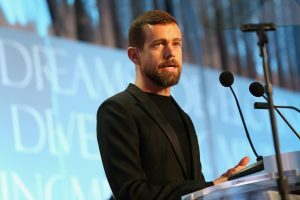 While 500 million tweets are posted on Twitter every day from 328 million monthly active users, user growth has slowed or even halted, according to the company’s latest earnings report. So, fewer people are seeing value in the San Francisco-based platform, which is a problem, along with the challenges of turning engagement into revenue. The question remains what’s next for Twitter. For starters, it does in fact need to be clearer about its policies and decisions. An effective issues management campaign might just what the platform needs to foster more users. Getting in front of this issue is paramount to alleviate any concerns about the platform’s so-called hypocrisy. And finally, proving Twitter’s relevance in the social narrative is needed to ensure that everyone’s voice is heard, not just high-profile individuals and organizations, which quite frankly, may be easier said than done.